Learn 3 valuable lessons from Amazon Prime Day that you can take away and apply to your own eCommerce promotions and strategies. Amazon wanted to celebrate its 20th birthday on July 15 by creating a one-day-only sale exclusively for Amazon Prime members called Prime Day. 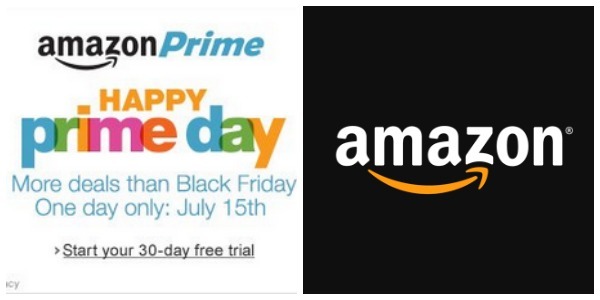 Prime Day was Amazon’s personal holiday that was to act as a “Christmas in July” event to offer deals to current Prime users and increase Amazon Prime signups. Since the launch, there has been a lot of discussion about the promotion, and regardless of whether or not you perceive the event as a win or a #PrimeDayFail, there are three important lessons eCommerce businesses can learn from Amazon to improve their own promotions and holiday strategies. 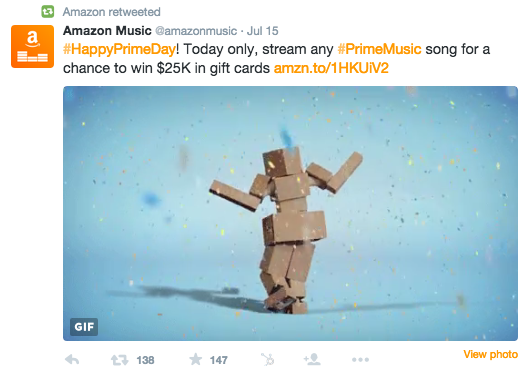 Amazon started promoting Prime Day weeks in advance to increase event awareness. If you were on Amazon before Prime Day, you witnessed firsthand the several CTAs on their website encouraging you to invest in Prime to benefit from the Prime Day deals. Throughout their site, they made sure to showcase the benefits of joining Amazon Prime and the deals for their Prime Day event. Amazon also utilized their various social networks to educate users on the benefits of the Prime account, encourage people to sign up and show off exclusive products that would be discounted during Prime Day. They even created a fun video to promote the event, and used pieces of it to create gifs that they also promoted on social. Takeaway: For your next promotional event, plan and promote often through your customers’ popular channels. This can include email campaigns, social campaigns and more. The key is getting in front of your audience and engaging with them early to increase awareness of your upcoming promotion. Amazon’s goal was to increase Amazon Prime signups, but they also wanted to use this event as a chance to reward their passionate and established Prime users. According to Business Insider, “Prime members spend about $1,500 with Amazon each year” — unlike non-Prime users, who spend a little less than half that amount. Focusing on a promotional event specifically for this audience was brilliant, but the other side of that is making sure there are offers that the audience wants. Amazon offered “lightning deals” that rolled out throughout the day during selected times to encourage customers to be vigilant in purchases. Unfortunately, select discounted deals like electronics were sold out by 3pm EDT, which left a large amount of West Coast customers disappointed and on waiting lists. Takeaway: The next time you set up a promotional event or sale, make sure it’s at an optimal time for your audiences and that there are enough products for them. The last thing you want to do is run out of your products early or promote a time-sensitive sale during a time your audience isn’t active. Amazon did such an excellent job promoting this discount event that the hype and expectations started to grow with it. When Prime Day rolled around, not only were several deals sold out in minutes, Amazon’s site seemed to have had problems early in the day due to the increased traffic on the site. The lack of deals and site errors frustrated several users, and that frustration was clearly shown when the hashtag “#PrimeDayFail” started to trend. Despite the page load time and search errors, Amazon’s team was able to speedily resolve their site issues. Takeaway: One of the most important things you can take away from Amazon’s Prime Day is to make sure you have enough products stocked for your promotion and the right resources put in place so your site can handle the high amounts of traffic to your promotion. Your business needs to be prepared for the worst in order to be successful, and having a team nearby to address any spur-of-the-moment errors can be a huge lifesaver. At the end of the day, not every single person is going to love your campaign, but planning early allows you to have time to make adjustments before the launch. What did you think of Amazon’s Prime Day? Have any other tips or suggestions for how to improve eCommerce retail promotions? Leave a comment in the comments section below! If you’re looking for more ways to prepare your eCommerce store for your next busy season or promotion, contact our eCommerce professionals today. We’d love to help your business prepare for your next online promotion.